What is food and body awareness? Food is such a central part of life and our relationship to it has many influences. Our bodies are the part of us that contacts us to and protects us from the world. Exploring real needs, and understanding more about why we act the way we do, frees us to follow a more natural healthy life style. In this way exercise, healthy nutrition and greater self-awareness work together to benefit the whole of who you are. The groups are run in association with the Exercise Referral Program. However the sessions are also available to anyone who would like to learn more about their relationship to their body, their size and how they feel about food. Groups run for 8 sessions each one hour in length. Groups will run mornings and evenings on Fridays starting 11/09/15. Understanding more about your personal relationship to your body, your size, to the food that you eat and why you eat it. Improvement to your self esteem, personal development and awareness, alleviation of depression, support through challenging life transitions, and an increased sense of being grounded, effective and focused. "Meeting with other people in a safe and confidential setting who have had similar experiences, this can beprofoundly life changing and affirming." 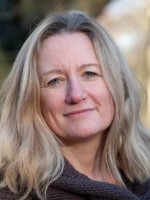 Rosalind Sharples offers Counselling and Psychotherapy. I trained in Psychotherapy, Process work and Transactional Analysis. I have studied with Kathy Leach CTA a leading trainer who works with people challenged by food and weight related issues.